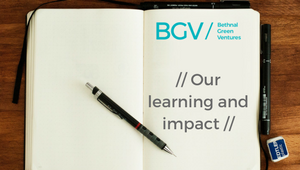 Bethnal Green Ventures is an accelerator programme for early stage technology ventures working on social and environmental problems. 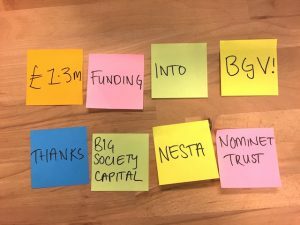 We’re backed by the Cabinet Office, Big Lottery Fund, Nesta and Nominet Trust. We inspire, connect and support people who are using technology to solve some of our biggest social and environmental challenges, from supporting an ageing population, to living on a planet of limited resources; from educating our children, to creating healthier communities. Every six months we select and invest in ten teams using technology to save the world. We take them through a three month programme of support to help them reach first investment or first customer. 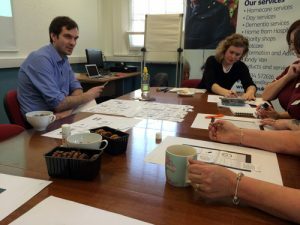 We are growing fast, and now running our fifth cohort, so we are looking for someone who loves what we do and wants to shout about it! We’re a great, flexible place to work on stuff that matters. Some experience of community management both offline and through events. An interest in technology and social innovation. Prior knowledge of the sector is not absolutely essential, but a successful candidate must be keen to quickly gain a basic understanding of both the commercial technology and social sectors. To apply, please send a CV and short covering letter explaining what you think you could bring to Bethnal Green Ventures. Please also include links or examples of your writing. 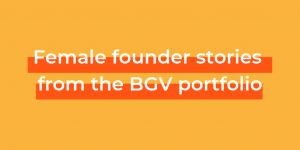 Apply by email to hello@bethnalgreenventures.com or by post to Bethnal Green Ventures, Makerversity, Somerset House, London, WC2A 1LA by 5pm on Monday 25th August.